Splatoon 2 - When Is The Game Available For Download? Splatoon 2 is slated to arrive in the morning hours tomorrow, but Target shoppers could download the game ahead of schedule. As Nintendo Switch enthusiasts no doubt know, Splatoon 2 is now less than 24 hours away from its formal release. 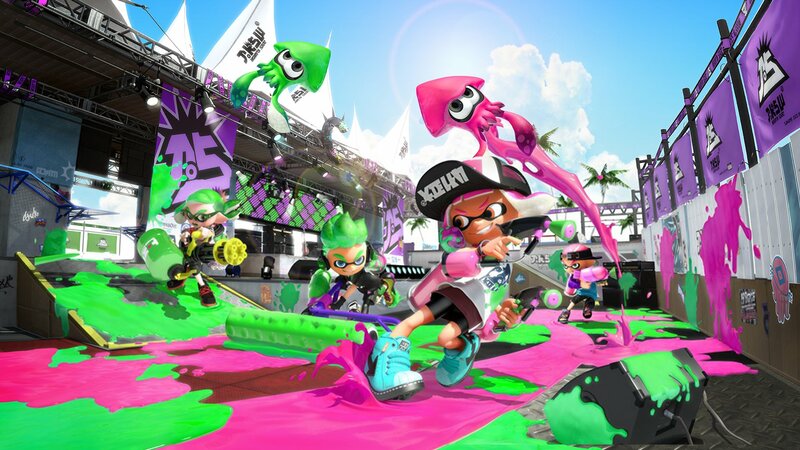 As the sequel to 2014's breakout Wii U success, the fantastic online shooter known as Splatoon, Splatoon 2 is set to carry the game's ink-slinging mutiplayer battles into the newest console generation. With the game so close to its release, there's only one question on players' minds, and it's a question of specifically how long they'll have to wait before they can jump into Splatoon 2. Fear not, for we have all the latest information including specific release times and general file sizes featured below. When Will Splatoon 2 Be Available For Download? What Is The Download Size? Splatoon 2 is set to appear in the Nintendo Switch eShop storefront tomorrow at midnight Eastern time -- that should technically translate to 9 p.m. Pacific time tonight, and though we can't confirm the possibility of time zone-based delays, it's a good bet that the game will be available a few hours ahead of its planned July 21 release date for East coast players. In addition, the game clocks in at right around 3.2GB, so aside from any potential server-size errors on Nintendo's part, players with modern internet connections won't have to wait more than half an hour or so before they can jump in to the game. Once downloaded and installed, players will also have to complete a short tutorial in order to unlock the game's single-player campaign. Fortunately, this shouldn't take too long, and players ought to be learning the new maps and weapons in no time. Is There Any Early Download Option For Splatoon 2? As it turns out, there is. As revealed over on the Splatoon subreddit, retail chain Target is selling physical cards with codes to download Splatoon 2 in their stores. Even better, it seems that the cards allow Switch players to download Splatoon 2 immediately -- that's right, there's no wait aside from the time it takes to download. The Splatoon 2 Target download card isn't available at all stores, and it's not entirely clear whether or not Nintendo meant for the stock to be put on the floor before the game officially released. Still, assuming a player's local Target does have the cards out on dispaly, any potential stock should be lurking somewhere in the vicinity of PlayStation Network, Steam, and Xbox Live cards. Looking for more Splatoon 2-oriented content? Check out our Splatoon 2 guide hub, which we're continually updating with new tips, strategies, secrets, and more.